Christmas quiet • Run Hard. Rest Well. 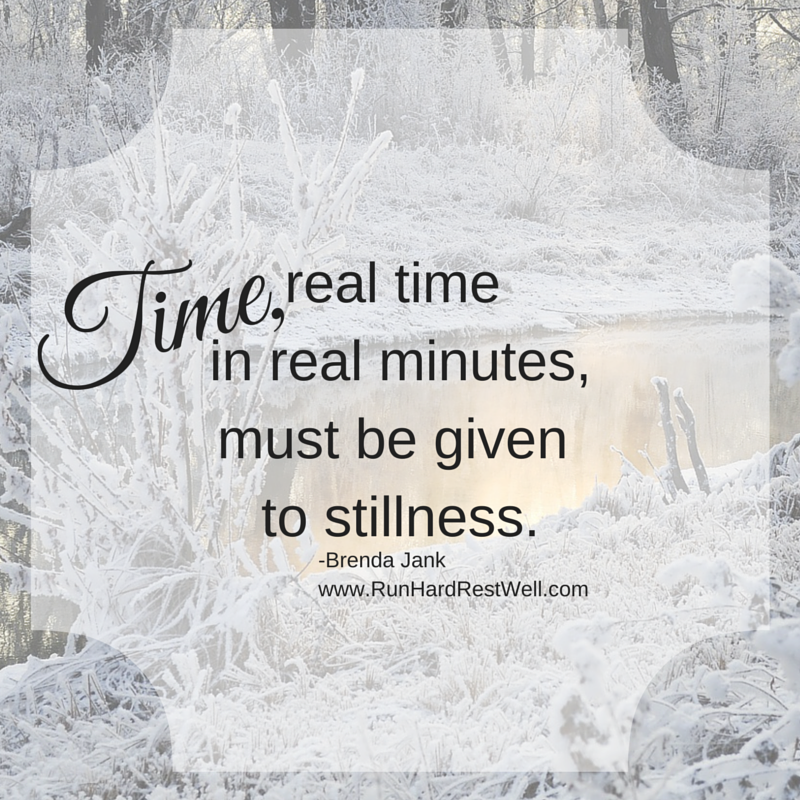 Time, real time in real minutes, must be given to stillness. In it and through it, attention can then be given to what moves us. Quiet is a deep thing—a deep, deep well. Drink deeply my friend, for the road before us chases the horizon. In the days before us, Jesus invites us to quiet. Chaos uncontained, unrestrained is deafening. Its drone drowns out what moves us, and deadens us to what we hold dear. May it find a place in your heart. How do you find yourself in the Father’s presence? Ahhh! It’s cold here. 39degrees. That’s nothing for some of you, but here in Texas it’s COLD. The cold grabs at my bones and causes pain. And I must be still, under the covers, layered up. I often wonder if God gave us winter for us to be still. The ground lies fallow under its winter blanket. That’s is how it seems, but under that blanket, God is working. Under the blanket of His love in my life, He is working on me. Will I rest, be still, and let Him. It may hurt. To God, my answer is YES! I think winter does speak to stillness. I was up at 12:30 putting another blanket on our bed — the chill would not leave me alone. My long-john went on a few weeks ago. But, yes! that is cold for Texas. My answer to God joins yours, Betty. Yes. Yes! Just this week Josh and I were looking at photos and saw one from our first visit. Wow. I wonder how many units of Blood Josh got from you all together? And all the others you gave to so many people. What a gift. Life is kind of a loaded question. Watching God work over time in so many ways, but the work of grief is hard. My dad died a few weeks ago. Joe is wrestling with a host of intense medical challenges. Cleveland Clinic is trying to figure him out right now. Josh’s decline is wonderfully slow. Our days are precious. Working on getting our leaning Christmas tree up and figuring out from where a puddle keeps emerging in our storage room …. Sending my love and my prayers. Let me know how the sleep study goes. When is Wanda’s surgery?